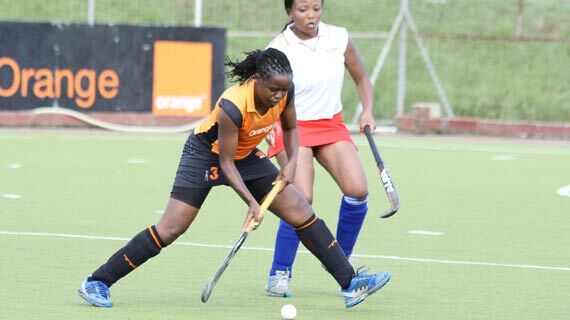 Africa hockey champions Telkom Orange beat Lusaka Sharks 2-0 to book a semi-final slot in the ongoing Africa Cup of club championship at the Olympic Development Centre Stadium in Lusaka, Zambia on Tuesday. Telkom will have a date with either GRA ladies of Ghana or Sharkia of Egypt who have amassed six points and top pool 'B' with a match at hand on Thursday in one of the semi-finals. The two sides, Sharkia and GRA will face off on Wednesday. Orange had played to a 3-all draw against Police of Ghana on Sunday in their first match of the week long event. The two goals were scored in either halves, with the fast rising Maureen Okumu being on target in the 21st minutes. Okumu who played her first International match was drafted in the team alongside Georgina Lumumba as Openda retained the squad that lifted the trophy last year in Zimbabwe. In the second half, Barbara Simiyu returned from maternity leave with a strong message as she sounded the boards for a powerful return goal in the 40th minute. "The players played well today compared to the first match against Police of Ghana on Sunday. We hope to extend today's (Tuesday) performance in our subsequent matches. From now its a match at time and we can only hope for the better." Said coach Jos Openda.